If You’re Looking for an IT Company with Rapid Response Time, a True Commitment to Customer Service, and a Professional Team, You’ve Come to the Right Place. No other IT company in the DFW area can touch our excellent staff, lightning fast response time, and ability to make technology recommendations based on your company needs. 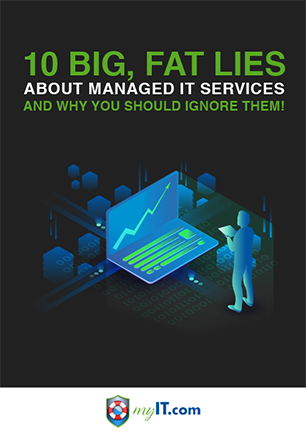 Are you missing out on the benefits of managed IT services? Is your business suffering because it can’t cope with unexpected IT disasters and other problems? 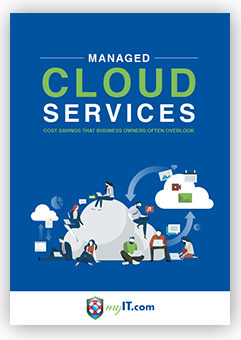 Take advantage of the many benefits of IT managed services. You’ll enjoy enhanced security, unified communications, 24/7 tech support, and more! At myIT.com, we put our customers first. Since the company’s inception in 1997, we’ve provided IT solutions to small- and medium-sized businesses in Dallas/Fort Worth Metroplex, Texas. With the emphasis on having our skilled IT staff handling your IT together with our established and standardized IT management procedures, we make sure each and every one of your IT issues is solved professionally and satisfactorily. Having relied upon internal IT as well as external IT firms, myIT.com genuinely cares about its customers and treats individual customers as though they are the ONLY customer. myIT.com prides itself on its customer service and it shows. myIT.com’s response time resolving technical issues “IS THE BEST YOU WILL EVER EXPERIENCE”! If you are wondering which IT or MSP firm you should call to help manage your network, big or small, “get off the fence and get the technology you probably already have, working for you.” myIT.com will help you do just that. In today’s world, technology can be your best competitive advantage; myIT.com will certainly help you use your technology to gain competitive advantages over your competition. myIT.com gives us peace of mind. Knowing that I don’t have to invest time trying to keep up with the skills training to manage technology at our church is a plus! myIT.com has the professional staff with the skills and competence that frees me up to focus on other core business functions. They don’t let us down and are open with their communication and status updates. myIT.com has a proven track record of excellence. myIT.com is a choice we stand by. IT is an investment, why risk the selection when you don’t have to. Why myIT.com? They are Quick, Efficient and Knowledgeable! Can your IT support model survive vacation days, sick days, and snow days? 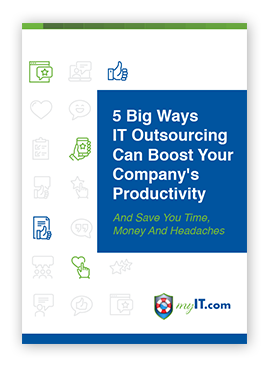 As technology consultants and technicians, the myIT.com team spends a lot of time convincing clients just how important IT is to their profit. But if that’s true...is outsourcing really the best solution? It is, and we’ve got the eBook to prove it. Computer problems driving you crazy but you don’t know who you can trust to fix it fast? Put that credit card away! Diagnose slowness, problems or concerns you may have with your computer network and explain in plain English what your options are for resolving them quickly and inexpensively. Look for hidden viruses, spyware, and security loopholes that could allow hackers and viruses to invade your network, corrupt your data and bring your system down. There is ZERO cost or obligation to buy anything when you request this service. This is simply our way of giving you a risk-free way to ‘sample’ our services before having to make a commitment or payment.